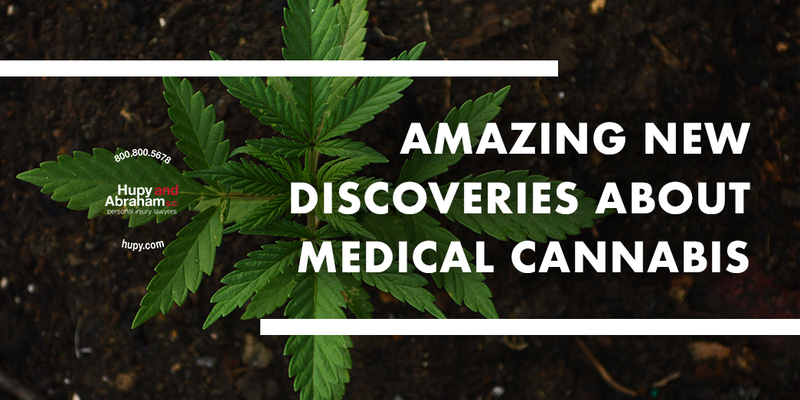 Amazing New Discoveries About Medical Cannabis | Hupy and Abraham, S.C.
More than 30 years ago, Attorney Michael Hupy successfully argued against the classification of marijuana as a Schedule 1 drug in a court of law. Now that more than half the country has legalized marijuana in some form, it’s no longer controversial to claim that marijuana is misclassified. But to appreciate the magnitude of Attorney Hupy’s accomplishment, context is key. With only three days in court, Attorney Hupy utilized expert witnesses to demonstrate the medicinal uses of marijuana and all charges against his clients were dismissed. At the time, claiming that marijuana had medicinal value was highly controversial to many. But decades of research has further proved what Attorney Hupy argued back then. Diabetic neve pain – Study conducted at UC-San Diego has shown that inhaling cannabis can reduce diabetic nerve pain for several hours. Parkinson’s disease – Study published in Journal of Psychopharmacology demonstrates how cannabis can slow the progression of this disease. Epilepsy – Study published in Lancet Neurology found that cannabis can reduce the frequency of seizures. Crohn’s disease – Researchers at Meir Medical Center found remarkable improvement from patients who didn’t respond to conventional treatments. Some experienced complete remission. Today, marijuana is considered less addictive than alcohol, nicotine and other painkilling drugs. It also has a lower risk of “dependency” and patients tend not to develop a “tolerance” for it. Thirty years ago, Attorney Hupy did the impossible by successfully arguing against the classification of marijuana. As time has gone by, he’s only been proven more correct.